Key Methods in Geography is the perfect introductory companion, providing an overview of qualitative and quantitative methods for human and physical geography. 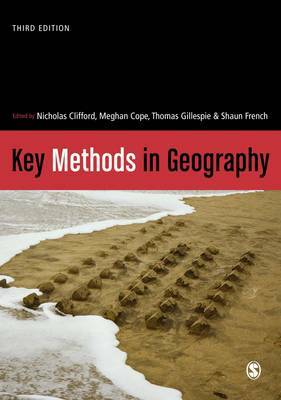 The teaching of research methods is integral to all geography courses: Key Methods in Geography, Third Edition explains all of the key methods with which geography undergraduates must be conversant. A new generation of scholars explain how to get started with geographical research. Geography is an academic subject that rapidly evolves. What was in vogue on year can soon be passe. However, Key Methods in Geography provides a mixture that both preserves the best of the past and introduces what is both more new and most promising. Unnecessary verbiage is out - clarity is in. Practical, accessible careful and interesting, this greatly updated and revised volume brings the subject up-to-date and explains in bite sized chunks the hows and whys of modern day geographical study that begins to brings together physical and human approaches again in a new synthesis. This collection is a valuable resource for geography students and researchers at all levels, in human geography, physical geography, and GIScience. It stands apart from many methods texts by speaking to the complete research process - from conceptualizing and designing geographical research, to collecting and analyzing many different forms of evidence, to representing results and finding in diverse ways. The volume is noteworthy in the breadth of methods it includes, spanning classic approaches that have been foundational to geographical scholarship and some of the discipline's newest and most innovative methodological practices.